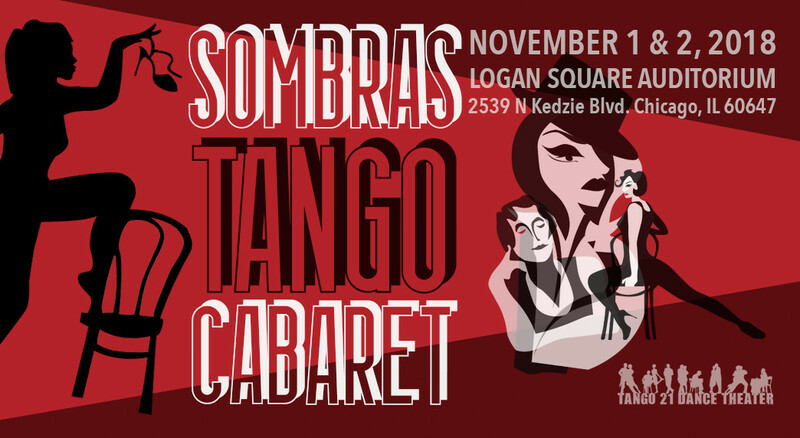 Join Fantastik Frank and friends at the Sombras Tango Cabaret, where secrets and fantasies rule the night. When an unexpected guest shows up, Frank must decide how to face his past and come to terms with his own shadows. Tango 21 Dance Theater's fourth original production premieres November 1st and 2nd, 2018. Don't miss this tango musical complete with actors, singers, dancers and musicians! Please note: Built in 1915, The Logan Square Auditorium is a beautiful historic ballroom. As such, this performance space is located on the third floor, and there are no elevators in the building.